1. Used cars are selling for all-time-high prices—but they’re a better deal than ever before. These statements might seem contradictory, but both are true. For the first time ever, in the second quarter of 2018, the average used car cost more than $20,000, and prices are likely to keep rising. That’s a lot of money for a typical secondhand car, but don’t let it scare you off. Used-car prices have increased for the same reason that new-car prices have increased—the cars have improved. The typical used car bought today will last longer, get better mileage and include more features than used cars of years past. Mostly that’s because ­automakers are making better cars, but it’s also because the average used car on the market today is younger than in prior years—for more on that, see below. 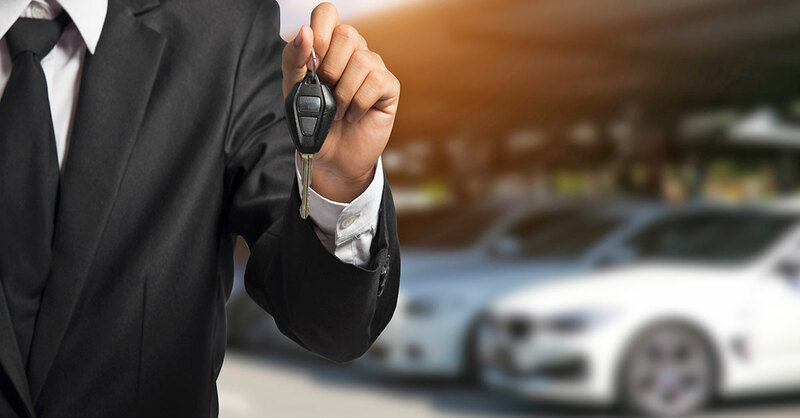 Rather than use average prices to gauge whether used cars are a good deal, consider how much you could save by buying a used car versus a brand-new car. The average three-year-old used car currently costs $13,339 less than the average new car, up significantly from a savings of $10,632 just five years ago (the equivalent of $11,462 after adjusting for inflation). That gap is as wide as it has ever been, suggesting that this is a historically good time to buy a used car. 2. It’s a good time to buy a newer used car…but a bad time to buy an older one. Older used cars inevitably sell for lower prices than newer ones, but don’t be fooled—right now older used cars are a bad deal by historical standards. Five years ago, a 10-year-old used car might sell for 22% of its original price, but today the figure is around 27%. The opposite is true with newer used cars—five years ago the average three-year-old used car sold for around 65% of its original price, but today the figure is closer to 61%. The reason is supply. The last recession depressed new-car sales from 2008 through 2012 and to a lesser degree in 2013 as well. Fewer new cars having been sold back means fewer used cars from those model years available now, and the limited supplies are leading to inflated prices. Meanwhile, approximately four million cars were leased in 2015, roughly twice the number that were leased five years earlier. (These figures include SUVs, pickup trucks and cars.) Leases typically last three years, and when they end, most leased cars return to the marketplace as used cars. Those four million 2015 and 2016 model-year cars that were leased in 2015 now are flooding the used-car market, inflating supplies. There’s a relatively strong supply of used 2017 model-year cars on the market, as well, as more people than you might expect are trading in their cars within a year or two of buying them…or having them repossessed after getting in over their heads with car payments. Put these trends together, and it’s definitely worth spending more to get a newer used car these days. 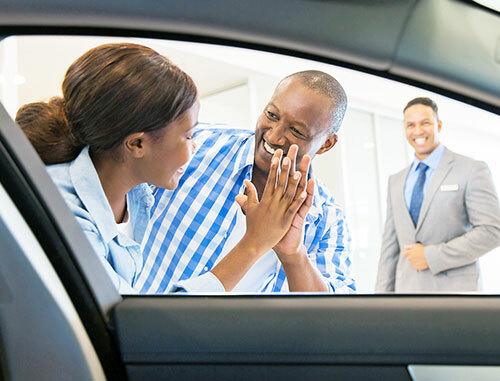 If you can’t afford a newer used car with all the features you want, from a financial standpoint it’s better to opt for a newer but more basic used car rather than reverting to an older but higher-end one. 3. A massive looming danger—tariffs— could turn the used-car market upside down. On paper, 2019 looks like it will be an even better year for used-car buyers—and a worse year for sellers—than 2018. There even are more leases ending next year, so supplies of used cars should be extremely high. But threats by the Trump administration to impose tariffs on imported new cars creates the prospect that used-car prices could shoot up. Why would tariffs affect used cars? If tariffs significantly inflate the prices of new cars, many car buyers will opt for used cars instead, driving up demand and, with that, prices. As of early November, it was not certain whether tariffs would be imposed or which vehicles they might target. If a tariff were imposed only on cars built in the European Union—one possibility that has been mentioned—the effect on much of the used-car market could be minimal, except perhaps among luxury cars and luxury SUVs. But if a significant tariff were imposed on a wider range of imported cars and car parts, prices of new and used cars could increase across the board. Even cars assembled in the US contain many imported parts these days. If you’re in the market for a car, new or used, don’t wait to buy unless you are comfortable facing the risk that prices could shoot up by perhaps 10% to 20%. If you’re thinking about selling a used car, waiting could land you a higher price if tariffs are indeed imposed—but if they’re not, waiting to sell would mean your car is a bit older and less valuable when you put it on the market. 4. Luxury midsize cars currently offer the very best used-car deals, and pickup trucks are the worst deals. The typical three-year-old luxury midsize car currently sells for 48% less than the same make and model would cost new. Reasons: Luxury midsize cars were the most likely to be leased rather than purchased three years ago, so the used-car market is being saturated with them now. And demand for midsize luxury cars has weakened as today’s buyers prefer luxury compact SUVs and crossovers instead. Example: Top sellers among midsize luxury sedans include the Lexus ES, Mercedes-Benz E-Class and BMW 5-Series. Examples: Among top-selling cars, the midsize Chevrolet Malibu (46% less for a three-year-old vehicle than for a new one)…Ford Fusion (42%)…and Nissan Altima (42%) are selling at big savings. Where won’t you tend to find unusually good deals on used cars? Categories that retain the highest percentage of their original value currently include midsize pickup trucks (only a 27% savings on a three-year-old used one, on average, compared with new)…large pickup trucks (33%)…minivans (33%)…compact SUVs (33%)…and midsize SUVs (35%). The popularity of these categories has kept used prices high even though supplies of those vehicles are strong. Examples: Among top-selling vehicles, the Toyota RAV4 (29% savings on three-year-old versus new)…Honda CR-V (30%)…Ford F-150 (32%)…and Jeep Wrangler (33%) currently are holding their value especially well. The prices of three-year-old pickup trucks currently are so high that it often makes sense to buy a new one rather than a used one, particularly if you can find an attractive deal on a leftover 2018. Starting in 2019, the combined total of SUVs and pickups coming off lease actually will exceed the number of cars, and that increasing supply might start to improve the deals available on used SUVs and pickups—unless tariffs get in the way. Also: The luxury large-car category lands near the top of the list for retaining value, too—on average now, they’re only 30% cheaper at three years old than new. But that’s less meaningful than it might seem. This category represents a small corner of the market that is statistically dominated by a single vehicle that happens to retain its value well—the Mercedes S Class sedan. If you want a luxury large car, you probably can find a very attractive price on something such as an Audi A8 (47% savings on a three-year-old model versus new) or a Jaguar XJ (47%) or BMW 7-Series (59%).